Higasayama Ginza888 Shop is, on the best known main avenue (Chuo-dori), located in the middle between Ginza St. and Shinbashi St.. Hakuhinkan Toy Park is nearby our shop and is entered in the Guinness Book of World Records as the largest toy shop in Japan. “888” is legendarily supposed to bring good luck. We have a Chinese speaker. 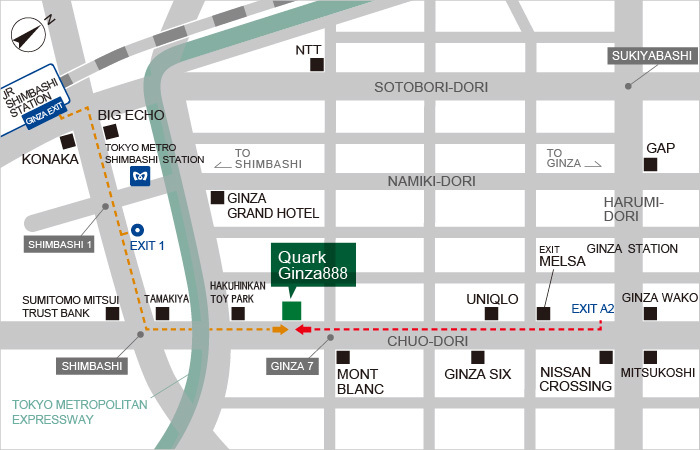 We are the only shop that we provide watches cheaper and have assort watches in Ginza area. Let us make a supreme memory to you for travelling(= life).